Ash Harris is the managing director of DRE Roofing Limited, which was set up in February 2017. Ash had over 20 years experience in the roofing industry working for other roofing companies, but decided to start his own business and become his own boss. Ash received formal training from the CITB in the form of an apprenticeship, but has also attended courses at the Hertalan education and training centre in Mansfield to hone his skills in Hertalan® and Carlisle® products. We first spoke to Ash a year after he formed his company in February 2018, at this point DRE Roofing had a two man team; Ash and his labourer. After a conversation, we knew that Ash would be a great fit for our services, he had aspirations to grow his company and was both professional and personable, two traits we value highly here at Get Work. DRE Roofing chose to take out a Founder Trial from Get Work. This gave them access to everything in our Startup Subscription for just £250.00. We created a dedicated landing page to promote their services, and our certified marketing consultants created a Google Ad campaign with thousands of keywords and ads to target local searchers. 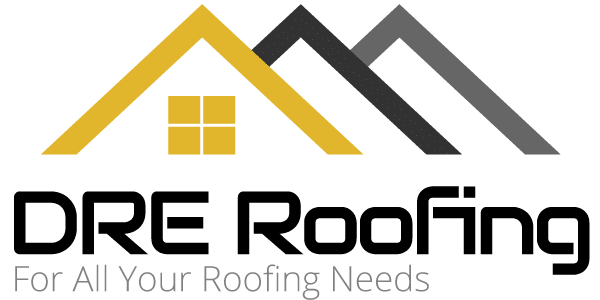 DRE roofing were then given access to their Get Work account, which allowed them to track the performance of their campaigns. They were also able to track each and every lead that was delivered, getting notified by email and SMS whenever a new job came in. Each lead was given its own unique record in their account, which stored the lead’s contact details, as well as the original contact form or call recording that was received. Our automated systems made hourly changes to their account over the course of the month, improving performance by optimising every aspect of their campaign. When you think of the stereotypes of a cold call ‘we can do this, we can do that’ it’s easy to end the call, but Get Work seemed different right from the off. It’s not the cheapest but I think you always get what you pay for. They are fully transparent, and you know what you’re getting for your money. There’s no contract and the first month was half price so you’re not jumping in with two feet and putting all your eggs in one basket. I still don’t believe how good it is even now. When my advertising campaign is live I’m always getting calls, and going out to price work. So many of the other companies out there, who guarantee this and guarantee that, they don’t live up to what they say, and to be honest a part of me didn’t expect to come back for a second month. But Get Work’s customer service and the amount of work they bring to my business has gone above and beyond my expectations. In my first month I spent £250, I got 13 leads and quoted £81,300 worth of work! Most of the leads were really good, I got a couple of time wasters but 95% were genuine and good people. I’ve had a variety of work that I’ve already completed, there’s been an up and over, a full re-roof, a lean-to pvc corrugated car port/garage, a couple of repairs so a good diverse amount of work. I’ve used Yell and they just don’t compare, in fact they’re terrible and I’m stuck in a contract with them for I don’t know how long, and I haven’t had one job off it and I’m still paying every month for it. I would recommend Get Work to any roofer out there thinking of using them, I’d say go for it, you won’t regret it. If it keeps going like is it doing, I’ll be upgrading to a higher package and getting another van on the road. Get Work are part marketing agency, part software as a service (SaaS) provider. Our mission is to help market and grow the UK’s most forward-thinking trade companies. We use proven digital marketing techniques to generate regular, qualified and exclusive leads for our tradesmen; and provide a management platform to turn those leads into paying customers.